Power in the Union: Ruth Davidson says the number one priority should be to ensure the Union emerges stronger. The UK as we know it might soon be a memory, writes Murray Ritchie. As Brexit approaches we hear ever-louder warnings that the constitutional make-up of the United Kingdom of Great Britain and Northern Ireland (to give us our Sunday name) is in mortal danger. And who can say the doomsters are wrong? For years now, ever since the Scottish independence referendum, politicians of a Unionist flavour have been talking of the need – in the words of Prime Minister Theresa May – to “protect our precious union”. The latest warning of Brexit’s potential for constitutional havoc came from Ruth Davidson, the Scottish Conservative leader, who told the UK Tory conference (in so many words) that leaving Europe could cost the UK Scotland. Well, she probably got that one right. Ms Davidson prides herself on being a Tory who is in touch with public thinking in a way that many in her party south of the Border are not. She is often talked about as the one-nation Tory successor to Theresa May although she denies such ambition. But she vigorously opposes the hard Brexiteers and reserves a particular loathing for Boris Johnson. 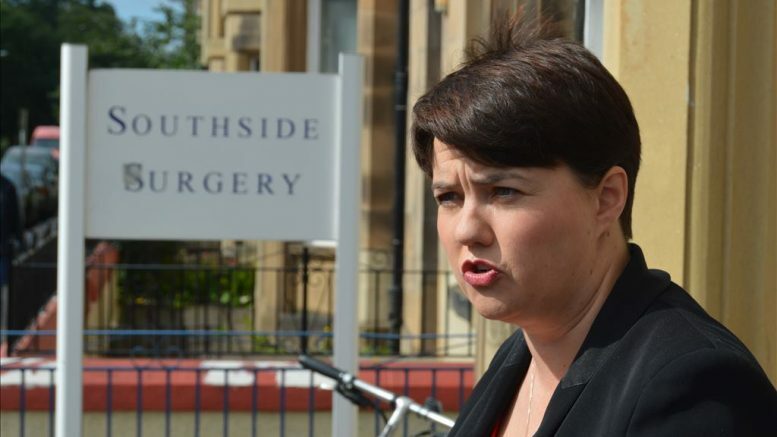 Under her leadership it is reported that 12 of the13 Scottish Tory MPs have launched a campaign, with the most un-Tory, not to say undignified title, Operation Ars*, to stop the former foreign secretary succeeding Mrs May. In a swipe at the Scottish National Party (SNP) she told the Tories’ Birmingham conference: “Let’s remember that across the UK there are those who are working day by day to break up that union – and who believe that a chaotic Brexit will help. She also made the point that a second referendum on Brexit would make it impossible for Unionists to deny the SNP a second referendum on independence. This might be irrelevant for the simple reason that the SNP will hold Indyref2 anyway, with or without Westminster’s permission, although Nicola Sturgeon, Scotland’s nationalist first minister, would prefer London’s blessing. Indyref2 is not a matter of if but when. 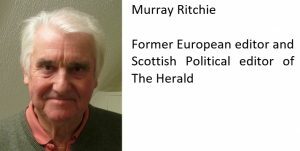 Unionists argued in the 2014 independence referendum that the only way Scotland could remain in the EU was to vote to remain in the UK. That provokes hollow laughter now that the same Tories are telling Scotland’s pro-EU majority that their views don’t matter and they are heading out of Europe, like it or not. Unsurprisingly support for independence, 45 per cent four years ago, is now rising, and support for remaining in the EU, 62 per cent two years ago, is now reportedly around 70 per cent. These trends do not bode well for Mrs May’s “precious union”, hence the growing concern in her feuding party. So much for Scotland. What of the even more alarming case of Ireland? There is an obvious answer to all of this and that is for the UK as currently constituted to leave the EU, as the people across the islands decided narrowly, but to remain in the single market. The Irish border was always going to be the most difficult negotiation for the UK with the EU and the Irish Republic, complicated by Mrs May’s dependence for her majority on the hardline Democratic Unionists in Northern Ireland. Although the people of Northern Ireland voted Remain their government – temporarily suspended because of age-old Irish divisions swirling amid accusations of corruption – is pro-Brexit and damned if it will raise a finger to help. The DUP’s “no surrender” attitude seems to override the obvious dangers posed by a return to a hard border and, therefore, renewed sectarian violence. On the Irish side, with the support of Northern Ireland’s republican minority, there is growing readiness for a referendum on reunification. Whatever the reaction to a Yes victory would be in the North – Unionist fury most obviously – the Sunday name of the United Kingdom of Great Britain and Northern Ireland would require some urgent sub-editing. Cue cries of defiance from the hard Brexiteers. But it could yet come to that if the forces arraigned against them could only get their act together. Labour’s main objective is a general election which it might yet achieve if the Commons blocked Mrs May’s faltering Chequers ambitions. Staying in the single market would blunt the SNP’s case for independence, at least to an extent, if the Tories lost office, and the DUP would buy any deal that stopped the drift towards Dublin rule. But Brexit’s opposition seems too fragmented for common sense to prevail. In the absence of strong leadership, and with respect for politicians lost, it seems the United Kingdom as we know it might soon be a memory. A good time to be young in Europe?